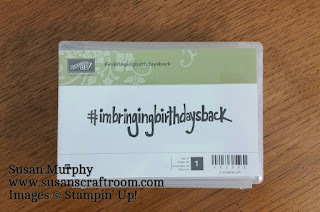 Everyone who orders $50 or more through my website or in person will have their name entered for the limited release stamp #I'm Bringing Birthdays Back. 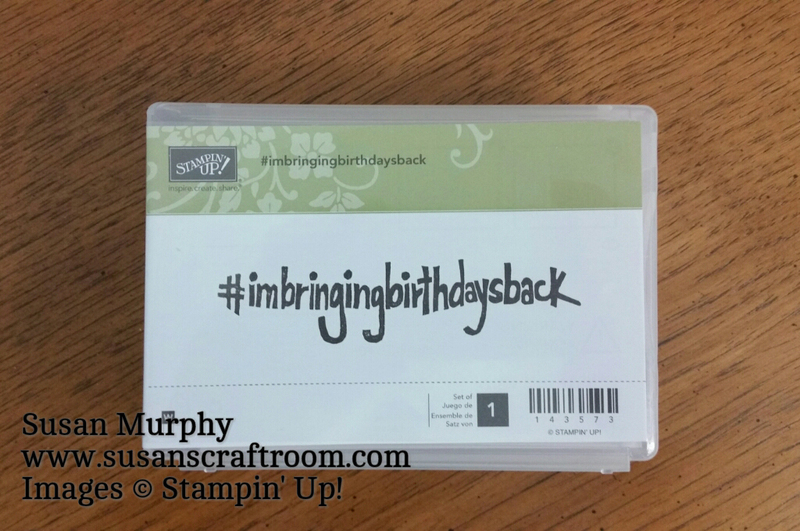 This is a great stamp to use on the back of your envelopes when sending out birthday cards to promote sending cards. Some items on the retiring products list have already sold out. Be sure to get your order submitted so you don't miss out on the items you want.